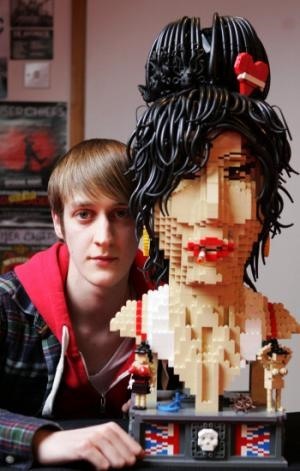 Pretty impressive, as far as LEGO portraiture goes. 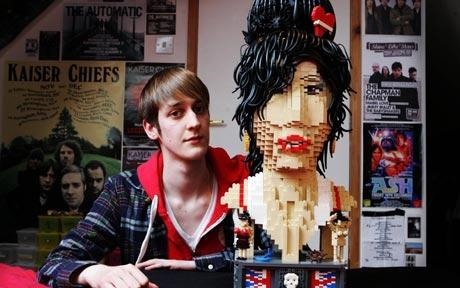 "Justin Ramsden used more than 3,000 Lego bricks to make the model, which features the singer's trademark beehive hairstyle and a cigarette dangling from her lips. The 19-year-old, who is a member of the Brickish Association, a group for adult fans of Lego, spent two weeks working on the sculpture in his spare time. He said: 'I really like Lego. It's a different medium to express my art.'" Previously, LEGO Fashion Hits the Runway.